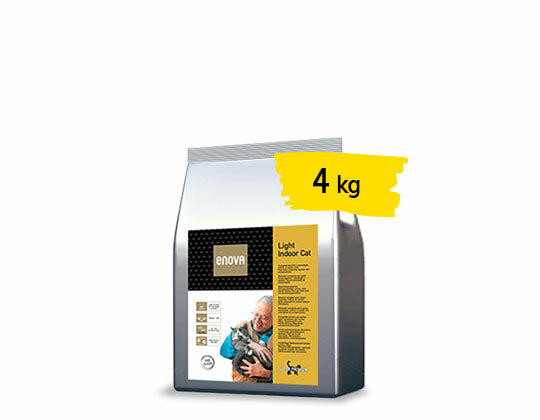 Complete dry food for overweight or prone to obesity adult cats and senior cats (7 years or older). 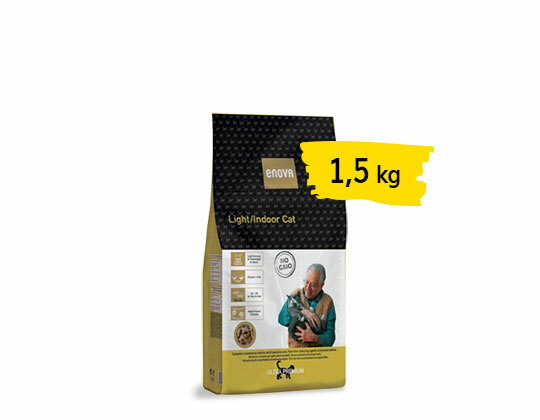 ENOVA LIGHT/INDOOR CAT is designed to meet the special nutritional requirements of overweight, sedentary and senior (7 years old or older) cats, a ever-growing part of feline population. The low-calories & low-fat formula of ENOVA LIGHT/INDOOR CAT allows to easily control the energy intake and therefore to reach & maintain the ideal body weight. 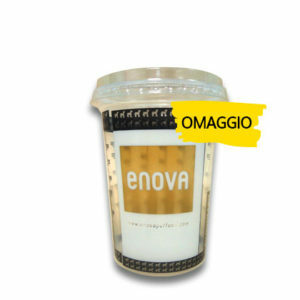 The high-quality protein from chicken, fish and eggs make the product highly palatable, despite its low fat content. Always about fats, the quality sources (chicken fat, flaxseed, fish oil) ensure anyway good levels of Omega 6 & Omega 3 fatty acids, useful to keep skin & coat in top condition. 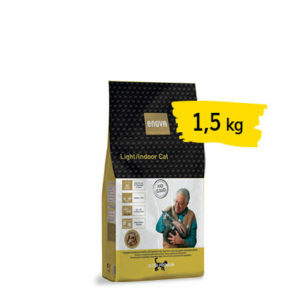 The added mix of plant fibers is helpful in order to eliminate the hairballs that can be present in the digestive tract of the cat. 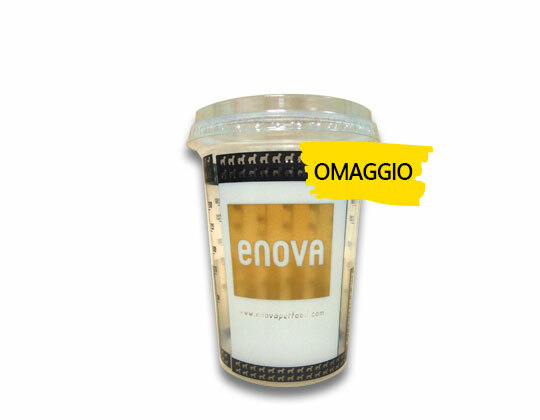 The low Magnesium helps to avoid the risk of urolithiasis..